Pizza has played a major role in television and in the movies, with appearances in such films as Splendor in the Grass, The French Connection, Mystic Pizza, Do the Right Thing, Teenage Mutant Ninja Turtles, Fast Times at Ridgemont High, Multiplicity, Lover Boy, Nightmare on Elm Street, The Caddy (featuring Dean Martin's song "That's Amore"), Homeward Bound II: Lost in San Francisco, Spaceballs, Toy Story, Delivery Boys, Free Willy III and I Love You to Death. Over the past five years, pizza has outpaced the growth rate of all other food service items, averaging about 11 percent a year and making it the Number 2 item in foodservice (after burgers). National Pizza Month is October. National Pizza Month in 1987. The people of America eat around 350 slices of pizza each second, or 100 acres per day. Each year, pizza is a $30 billion industry. In the U.S., there are about 60 000 pizza parlours. Everyone in the United States eats about 23 lbs., or 46 slices, every year. Each year in the United States, 3 billion pizzas are sold. In America, the most popular ethnic food is Italian. Children ages 3-11 prefer pizza over all other foods for lunch and dinner, according to a recent Gallup Poll. 36 percent of all pizza orders want their pizza topping pepperoni. A few popular pizzas toppings are: Mushrooms, Extra cheese, Sausage, Green Pepper, and Onion. In the list of most popular pizza toppings in America, the last one is anchovies. New gourmet pizza toppings have rapidly became popular. Some of those toppings include: Chicken, Oysters, Crayfish, Dandelions, Sprouts, Eggplant, Cajun Shrimp, Artichoke Hearts, Venison, Duck, Canadian-Style Bacon and Tuna. Practically every kind of pizza topping has been tried by pizza chefs, some of those toppings being peanut butter and jelly, bacon and eggs, and mashed potatoes. Americans prefer meat toppings to veggie toppings by a ratio of 62 to 100. Women order twice as much vegetable toppings than men. 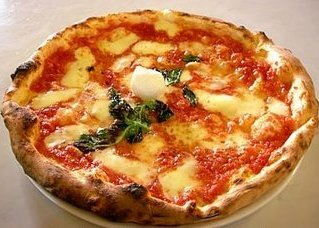 Some popular pizza toppings in Japan are squid and Mayo Jaga (mayonnaise, potato and bacon). In India they like pickled ginger, minced mutton and tofu. The people of Brazil prefer green peas for their topping. 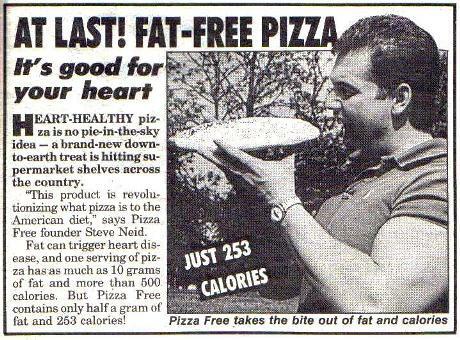 The world's largest pizza before tha latest record was 'built' on October 11, 1987 by Lorenzo Amato and Louis Piancone. The pizza covered 10,000 square feet and measured 140 feet across. It weighed in at 44,457 pounds, consisting of, among other items, 18,174 pounds of flour, 1,103 pounds of water, 6,445 pounds of sauce, 9,375 pounds of cheese and 2,387 pounds of pepperoni. 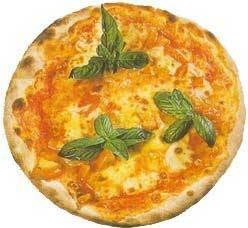 The pizza was cut into 94,248 slices and eaten by more than 30,000 spectators at the baking in Havana, Florida.